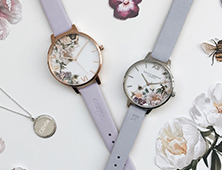 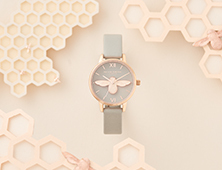 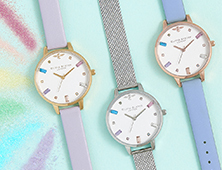 Featuring our new leather-effect eco strap, this environmentally friendly timepiece is both planet-conscious and super sweet. 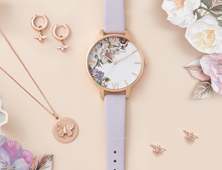 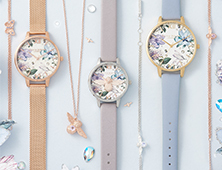 A delicate 30mm dial in rose gold is decorated by a signature floral print in surprisingly-versatile neutral tones. 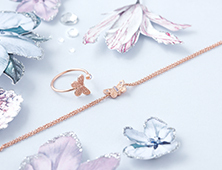 You’ll treasure this natural beauty forever.